Femme aux Bras Croisés, 1902 depicts a woman with her arms folded staring into nothingness. She is the focal point of the image and is rather simply dressed. Her negative body language of folded arms immediately closes her off from analysis rather cleverly. In effect, the viewers eye rests on the composition of the image. Painted during Picasso's Blue Period, the image is dominated by shades of blue connoting a s ense of sadness, mystery and evokes intrigue. Through using a dominating colour on canvas with little emphasis on any other, Picasso is able to create many emotions simply by the tone of his image. This coupled with the exression of the woman and her body language, all connote a sense of mystery and intrigue. One of the most expensive paintings, Femme aux Bras Croisés, was auctioned in the year 2000. 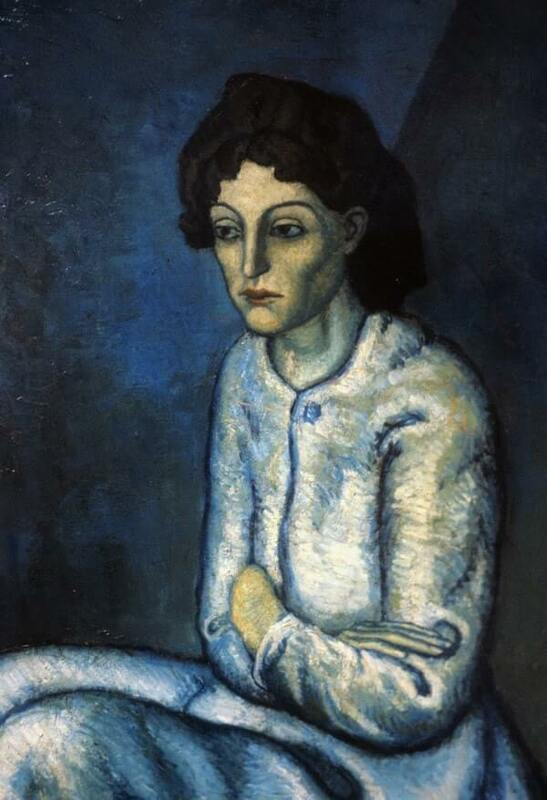 Just after its creation the painting was bought by Gertrude Stein from Picasso. Later on, the painting was taken over by McCormick family who organized an auction at Christie's Rockefeller in New York City and sold Femme aux Bras Croisés for $55,000,000 on November 8, 2000. The price of the painting made it as one of the most expensive paintings ever sold in an auction by then.